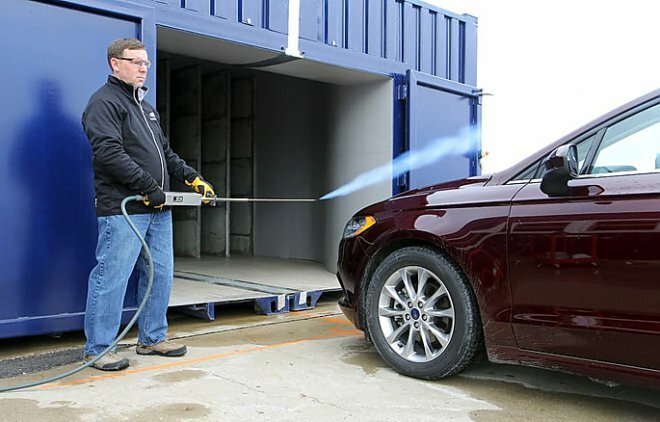 Experts of auto giant Ford have developed a compact mobile wind tunnel based on two sea containers. 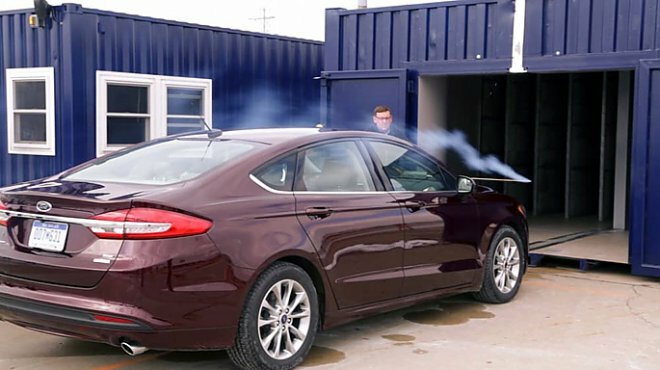 The unit is designed to test the noise level in the passenger compartment. As you know, a full-size wind tunnel in size corresponds to an average office and can cost up to 50 million dollars. Certainly, that in some cases it is necessary to do without it, however, for example, to test certain parameters of the cabin (air flow, the operation of some sensors), you can think of something simpler and cheaper. That’s exactly what Ford engineers did. The mobile aerodynamic unit developed by them is based on two 16-meter sea containers. Its power allows creating an artificial wind blowing at a speed of 130 km / h with the help of two 16-blade fans with a diameter of 1.8 m.
To create a “top” flow, the containers are stacked on top of each other. Thanks to a series of internal partitions, the noise level from the operation of the plant is minimized. The entire control system is in a separate 12-meter container. Containers are connected to each other in a single system by power cables. To prepare the complex for work it is enough 6 hours.